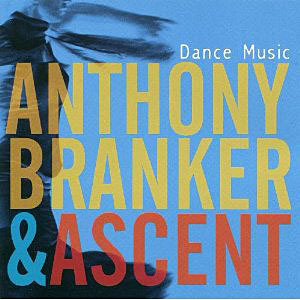 Composer Anthony Branker has recorded for Origin Records and Sons of Sound Records and has eight releases in his fast growing and musically rich discography. They include: Beauty Within (Origin, 2016), The Forward (Towards Equality) Suite (Origin, 2014), Uppity (Origin, 2013), Together (Origin, 2012), Dialogic (Origin, 2011), Dance Music (Origin, 2010), Blessings (Origin, 2009), and Spirit Songs (Sons of Sound, 2006). He leads three collectives that include Anthony Branker & Imagine, Anthony Branker & Ascent and Anthony Branker & Word Play, which have featured Ralph Bowen, Fabian Almazan, Linda Oh, Rudy Royston, Pete McCann, David Binney, Conrad Herwig, Jim Ridl, Kenny Davis, Donald Edwards, Renato Thoms, Alison Crockett, Mark Gross, Tia Fuller, Steve Wilson, Antonio Hart, Andy Hunter, Clifford Adams, Eli Asher, Jonny King, Bryan Carrott, John Benitez, Belden Bullock, Adam Cruz, Ralph Peterson Jr., Wilby Fletcher, Kadri Voorand, and Freddie Bryant. Recently Branker was named in Down Beat magazine's 63rd & 62nd Annual Critics Poll as a Rising Star Composer. He has received composition prizes, commissions, served as composer-in- residence, and has had his music featured in performance in Poland, Italy, Denmark, Finland, Australia, France, Germany, China, Russia, Lithuania, Estonia, and Japan; as well as in performance at such venues as the Iridium Jazz Club, Sweet Basil Jazz Club, Smalls Jazz Club, The Five Spot, New York’s Symphony Space, the Fez under the Time Café, Trumpets Jazz Club, Estonian Academy of Music and Theatre (Australia), Sydney Conservatorium of Music (Australia), and the Schomberg Center for Research in Black Culture. In addition, his music has appeared on National Public Radio, was spotlighted at the International Jazz Composers Symposium at the University of South Florida, and has been performed by the Shanghai Jazz Orchestra in Shanghai, China. 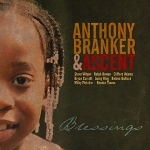 Branker's works have been performed and/or recorded by the Princeton University Orchestra, Orrin Evans, Steve Nelson, Talib Kibwe (TK Blue), Eddie Henderson, Victor Lewis, Steve Nelson, Stanley Jordan, Curtis Lundy, Steve Kroon, Michael Cochrane, Jann Parker, Marc Bernstein, Rick Margitza, and the Spirit of Life Ensemble featuring guest soloists Kenny Barron, Winard Harper, Joe Ford, Valery Ponomarev, Cecil Brooks III, Onaje Allen Gumbs, Alex Blake, and Sarah Jane Cion. During his residency at the Estonian Academy of Music, Branker composed The Eesti Jazz Suite, a five-movement work inspired by the culture and people of Estonia. This work was premiered in November of 2006 at the academy of music as part of the concert tour of the Princeton University Jazz Composers Collective, which was sponsored by the Department of State of the United States, the U.S. Embassy in Estonia, and the Estonian Academy of Music. 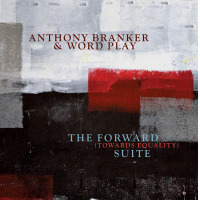 In 2008, Branker’s Skirting the Issue was performed by the free-thinking jazz quartet Amparo from the Royal College of Music in Stockholm, Sweden and the Crossing Borders Improvisational Music Ensemble at Princeton University. In 2013, Branker conducted the Princeton University in performance of his composition Ballad for Trayvon Martin for Orchestra and Jazz Quartet with tenor saxophone soloist Ralph Bowen. Dr. Anthony D.J. Branker has held an endowed chair in Jazz Studies, was Founding Director of the Program in Jazz Studies, Director of the University Jazz Emsembles Program, and served as Associate Director of the Program in Musical Performance at Princeton University, where he taught for 27 years. At Princeton, he directed an extensive list of ensembles and taught courses in jazz theory through improvisation & composition, jazz performance practice in historical and cultural context, jazz composition, evolution of jazz styles, and the improvising ensemble. He has served as a U.S. Fulbright Scholar and visiting professor at the Estonian Academy of Music and Theatre in Tallinn, Estonia and has also been a member of the faculty at the Manhattan School of Music, Rutgers University Mason Gross School of the Arts, Hunter College of the City University of New York, Ursinus College, and the New Jersey Summer Arts Institute. Dr. Branker was visiting composer at the Southern Danish Academy of Music and Dramatic Arts in Odense/Esbjerg, Denmark; Hochschule für Musik und Theater in Hamburg, Germany; the Estonian Academy of Music & Theatre; and for the Socrates/Erasmus Intensive Programme in cooperation with the European Union, the Association of Baltic Academies of Music, and the Estonian Academy of Music & Theatre. 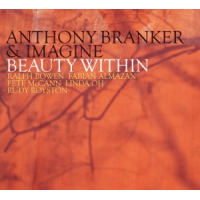 As a conductor, Dr. Branker has worked with such artists as Clark Terry, Phil Woods, Slide Hampton, Jimmy Heath, Jon Faddis, Conrad Herwig, Oliver Lake, Frank Foster, Benny Carter, Ted Curson, Orrin Evans, Stanley Jordan, Bobby Watson, Terence Blanchard, Bob Mintzer, Ralph Peterson, Steve Nelson, Antonio Hart, Freddie Hendrix, Jim Ridl, Don Braden, Jacky Terrasson, Bryan Carrott, Mark, Gross, and Guilherme Franco. He has conducted world premieres of commissioned works for big band, including Michael Philip Mossman’s John Coltrane Suite; Bob Mintzer’s March Majestic; Jimmy Heath’s For the Love Of; Ralph Bowen’s Little Miss B; Conrad Herwig’s Reflections of a Man Facing South; Randy Bauer’s Wide-Eyed Wonder; and Laurie Altman’s In Another Time for orchestra, big band and vocal ensemble. Dr. Branker has also conducted trumpeter Terence Blanchard’s Grammy Award-Winning score for A Tale of God’s Will (A Requiem for Katrina) featuring Blanchard and His Quintet with Brice Winston (tenor saxophone), Fabian Almazan (piano), Joshua Crumbly (bass), Kendrick Scott (drums) with orchestra at McCarter Theatre in Princeton. He has guest conducted the Princeton University Orchestra, Sinfonia, Chapel Choir, and Glee Club; Jugend Sinfonie Orchester (Bremen, Germany); Israel’s Kiryat Ono Symphonic Youth Band; and Japan’s Fukui Junior Orchestra. In addition, he conducted the Princeton University Orchestra in world premieres of two dance works choreographed to the orchestral music of Claude Debussy’s La Boîte à Joujoux (The Toy Box) - including the U.S. Premiere of Debussy’s newly discovered “jazz overture” for this work - and John Alden Carpenter’s Krazy Kat. He has also collaborated with the Juilliard Jazz Orchestra and conductors Wycliffe Gordon, Loren Schoenberg, and Cecil Bridgewater on joint big band performances of Duke Ellington and Billy Strayhorn’s Far East Suite and Ellington’s New Orleans Suite at McCarter Theatre in Princeton. Dr. Branker’s work as a scholar has been shared at conferences and/or published by the International Society for Music Education (ISME), International Society for Improvised Music (ISIM), Research in Music Education (RIME), International Symposium on Assessment in Music Education (ISAME), College Music Society (CMS), International Jazz Composers Symposium (IJCS), International Association for Jazz Education (IAJE), New Jersey Music Educators Association (NJMEA), and Down Beat magazine. He has served as program scholar for Looking At: Jazz, America’s Art Form, a six-part documentary film viewing and discussion series at the Princeton Public Library in collaboration with the National Endowment for the Humanities, Jazz at Lincoln Center, and the American Library Association. Dr. Branker has also appeared as a guest lecturer for the Department of Pop & Jazz Music at Helsinki Polytechnic Stadia in Helsinki, Finland; National Endowment for the Humanities Paul Robeson Institute at Rutgers University; “Teachers as Scholars” program for New Jersey Educators at Princeton University; Princeton University Alumni College Seminar “New Orleans: City of Jazz” in New Orleans, Louisiana; and Drew University. Anthony D.J. Branker holds the degrees of Doctor of Education and Master of Education from Columbia University, Teachers College; Master of Music in Jazz Pedagogy from the University of Miami; and a Bachelor of Arts in Music and Certificate in African- American Studies from Princeton University. Dr. Anthony D.J. Branker held an endowed chair in Jazz Studies, was Founding Director of the Program in Jazz Studies, Director of University Jazz Empembles, and served as Associate Director of the Program in Musical Performance at Princeton University, where he taught for 27 years. He directed an extensive list of ensembles and taught courses in jazz theory through improvisation & composition, jazz performance practice in historical and cultural context, jazz composition, the evolution of jazz styles, and the improvising ensemble. He has served as a U.S. Fulbright Scholar and visiting professor at the Estonian Academy of Music and Theatre in Tallinn, Estonia and has also been a member of the faculty at the Manhattan School of Music, Rutgers University Mason Gross School of the Arts, Hunter College of the City University of New York, Ursinus College, and the New Jersey Summer Arts Institute. Dr. Branker was visiting composer at the Southern Danish Academy of Music and Dramatic Arts in Odense/Esbjerg, Denmark; Hochschule für Musik und Theater in Hamburg, Germany; the Estonian Academy of Music & Theatre; and for the Socrates/Erasmus Intensive Programme in cooperation with the European Union, the Association of Baltic Academies of Music, and the Estonian Academy of Music & Theatre. All About Jazz musician pages are maintained by musicians, publicists and trusted members like you. Interested? Tell us why you would like to improve the Anthony Branker musician page.